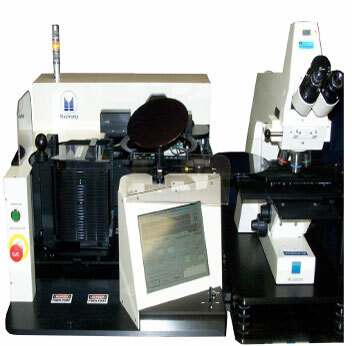 Mactronix designs and manufactures products for all aspects of wafer handling for Semiconductor and Solar Cell Processing. 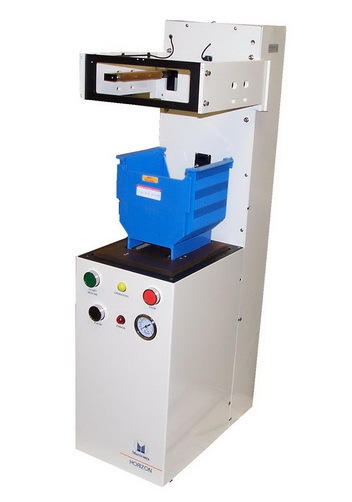 Wafer Transfer Units, Back- to-Back Loading, Cross-slot detection. Solar Cell Mass Transfer and Furnace Loading systems. Wafer Size:3″ to 8″ dia. 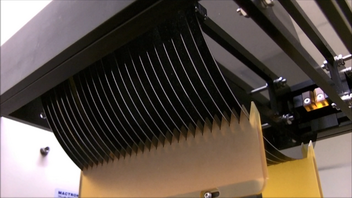 The Wafer Lifter is designed to lift all wafers out of a plastic cassette on an incline for easy viewing. Diffusion, Photo, CVD, After Etch and Implant Inspections. Checks Lot and Wafer I.D. numbers. 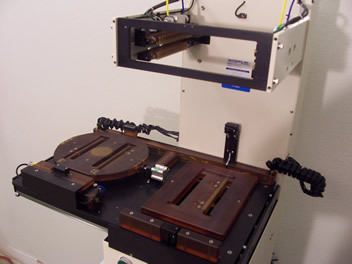 Patterned surface is not touched by lifting mechanism. Reduces scratches associated with Lot I.D. inspections. 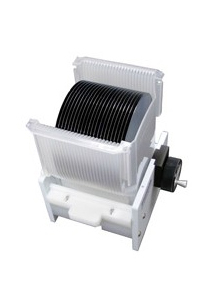 Available in 3″ through 8″ models. 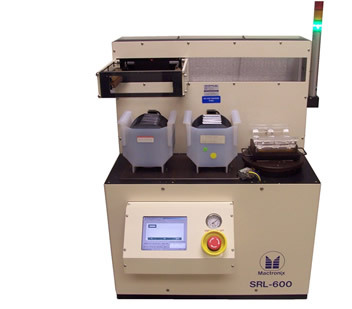 Custom models available to lift specified wafers. 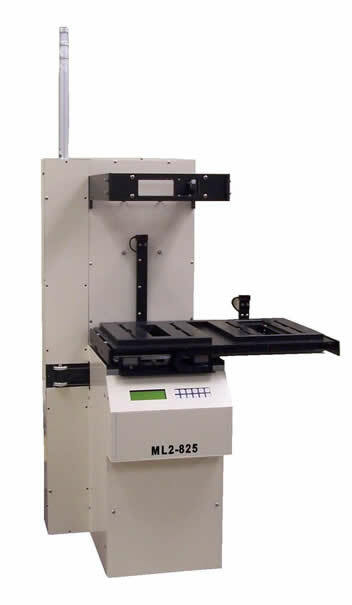 24" x 37" x 72"
Note: Width including monitor: 38"
The Mactronix EV1 is a Windows® based, simple to operate, versatile automatic wafer sorting system. 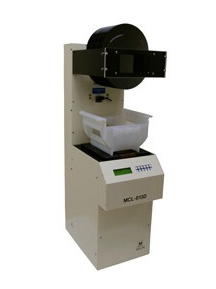 The MacLite Junior 2-Stage Series will transfer a maximum of 25 wafers between two cassettes, two process boats or one process boat and one cassette. 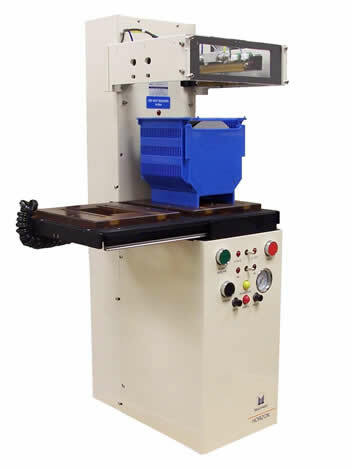 NOTE: Optional Extended Platform will add ≈ 6″ to the overall width of the machine. 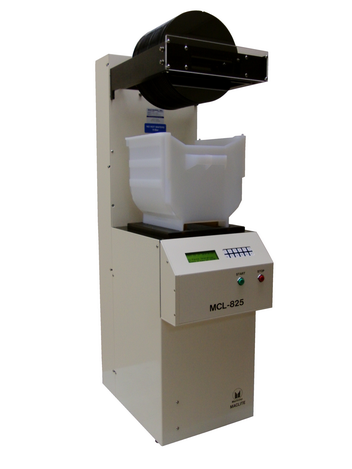 The MacLite Junior Series will transfer a maximum of 25 wafers between two cassettes, two process boats or one process boat and one cassette. ≈ 35 – 50 Lbs. 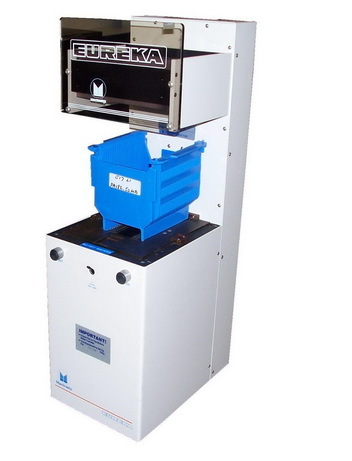 The Eureka Junior Series III will transfer a maximum of 25 wafers between two cassettes, two process boats or one process boat and one cassette. 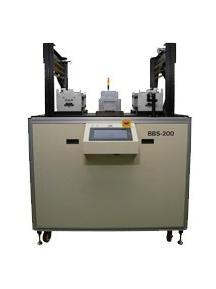 Horizon Junior 2-Stage Series V will transfer a maximum of 25 wafers between two cassettes, two process boats or one process boat and one cassette. PLC controlled enhancing system simplicity. 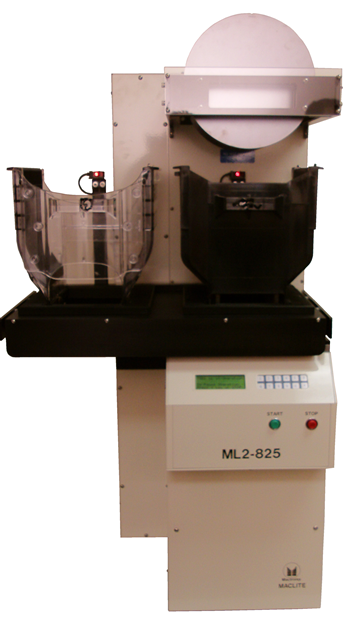 Due to customer demand for a 3-stage Wafer Handling Tool. 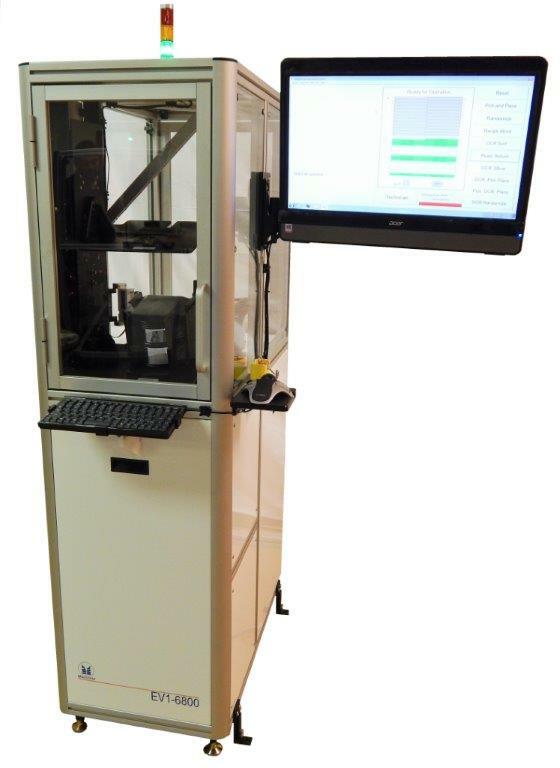 Mactronix engineers set out to design not only the most reliable transfer system, but also the most user friendly tool on the market. 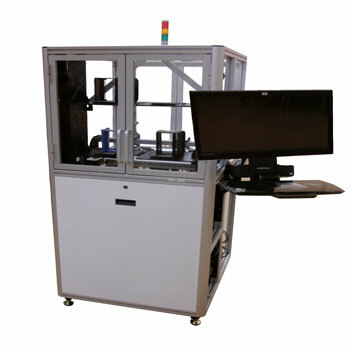 Great effort was spent in design and operator satisfaction, while maintaining Mactronix’s competitive pricing. 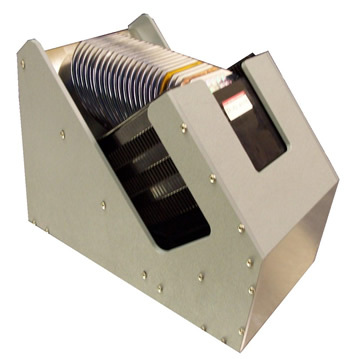 The Horizon SRL is available in wafer sizes 5″, 6″, and 8″. 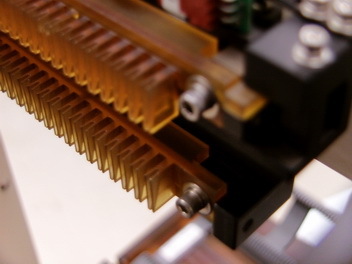 The Horizon Proximity Back to Back transfers 25 each silicon wafers between one plastic cassette to one quartz or silicon carbide boat in a proximity back-to-back configuration.